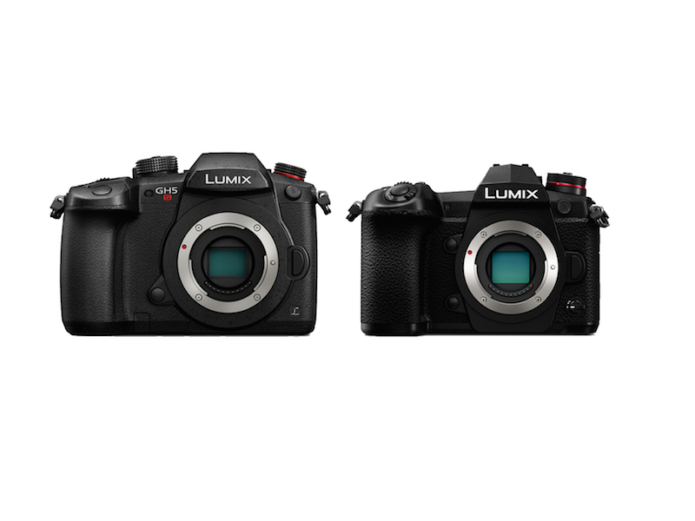 The Lumix GH5s and G9 are both flagship cameras from Panasonic, each with a distinctive identity. The latter has been designed with action and wildlife photographers in mind while the former is clearly targeting professional video makers. Deciding which one is best for your needs shouldn’t be a problem given the difference in users they target but if you are curious to better understand how they differ, then take a look below! The GH5s features a 10.2MP sensor with a multi aspect ratio. 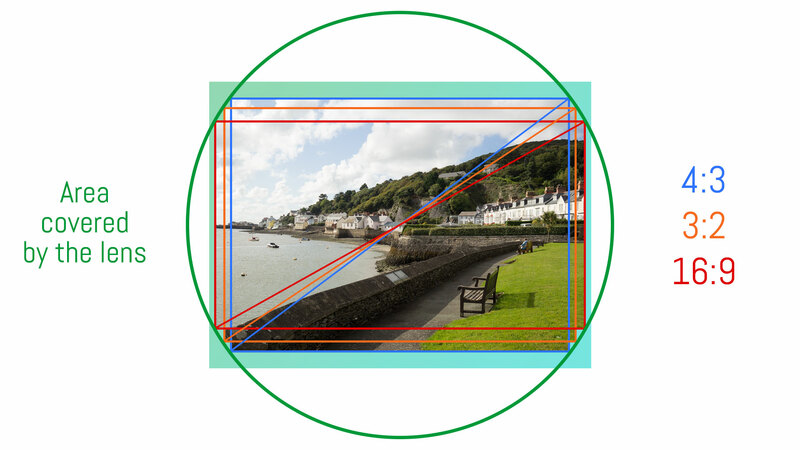 Because the sensor area is larger than the image circle, you can use different aspect ratios with the same diagonal angle of view. The G9 uses the same 20MP sensor as the GH5 and lacks an anti-aliasing filter in order to render better details. The GH5s has an ISO range of 160 to 51200 ISO, which is the highest of any Micro Four Thirds camera. The extended values go up to 204800 and down to 80. 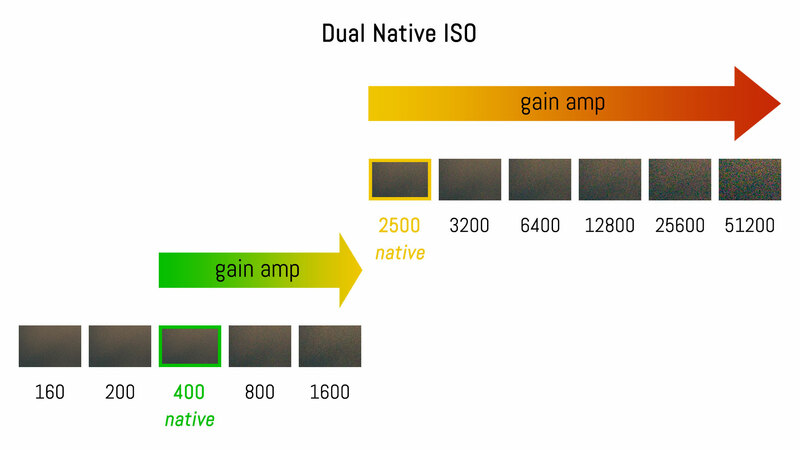 In order to offer such a vast sensitivity range, Panasonic implemented something called Dual Native ISO technology. 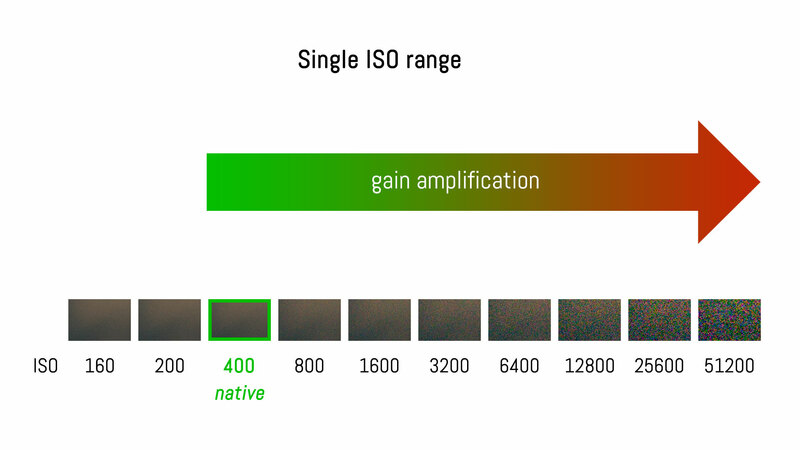 This means that the camera has two native ISO values (400 and 2500) so when you record at higher values like 6400 for example, the camera amplifies the gain from the native value of 2500 rather than 400, resulting in less noise. The G9 ISO range goes from 200 to 25600 ISO. There is also a “pull” value of 100. Unlike the GH5s that can use the entire range for stills and video, the G9 goes from 200 to 12800 ISO in movie mode. 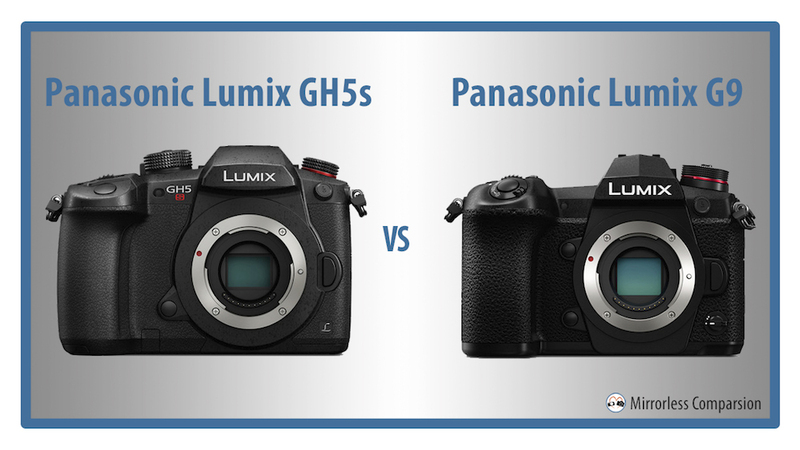 The GH5s is Panasonic’s most video-oriented camera to date so it’s not surprising that it outperforms the G9 in certain ways. That said, the latter remains more capable than many other mirrorless cameras with good video specifications. Both cameras can record 4K Ultra HD (3840×2160) up to 60fps and 150Mbps. They feature a full sized HDMI port, a mic input and headphone output. In all other ways, the GH5s is the superior video camera thanks to its many additional specifications and features. Not only can it record in Cinema 4K format (4096×2160) up to 60p, but it can also give you better colour information and less compression with a 4:2:2 10-bit and 400Mpbs All-Intra codec up to 30p in both 4K format and Full HD (200Mbps). Both cameras have a Variable Frame Rate mode (VFR) but unlike the G9, whose maximum frame rate is 180fps, the GH5s allows you to shoot up to 240fps for superior slow motion footage. If that weren’t enough, the GH5s can also record in anamorphic 4K and is capable of de-squeezing the footage in-camera. You’ll also find pre-installed V-Log L and HLG/HDR gamma profiles and lots pro settings. Last but not least, the GH5s has timecode in and out with genlock via the flash sync port, and the 3.5mm audio input can also be used as a Line In connection. The GH5s features 4K Photo which allows you to record a video at 60fps with three different modes (Pre-Burst, Burst and Start&Stop) and save any frame into a 8MP JPG. Because the G9 has more megapixels, it also has 6K Photo that works at 30fps and allows you to save an 18MP JPG. 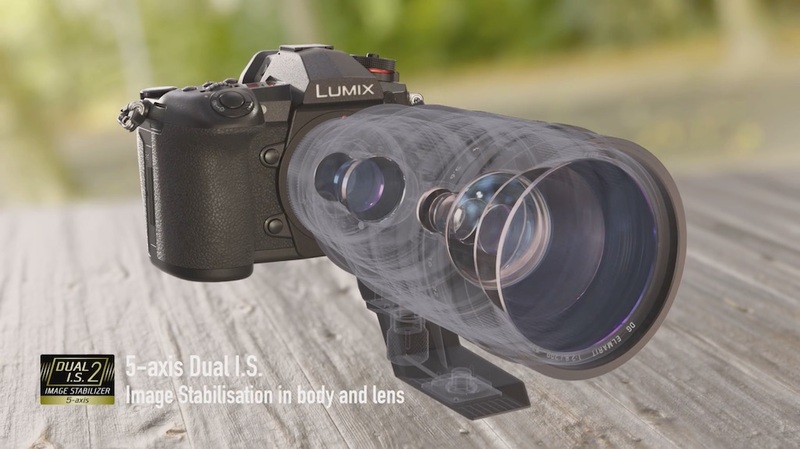 One of the main features of the Panasonic G9 is the electronic shutter performance for stills. It allows the camera to shoot up to 20fps with continuous AF or 60fps with focus locked on the first frame. Furthermore, the camera can record at these high speeds without any blackouts in the viewfinder or LCD monitor and while maintaining a live view of the scene, which is similar to the capabilities of the Sony A9. Add to that an impressive viewfinder with 0.83x magnification and a 120fps of refresh rate and you have one of the most impressive cameras for tracking moving subjects at a fast speed. The GH5s has an excellent burst speed of 12fps (or 11fps with 14-Bit RAW) or 8fps if you want continuous AF (7fps with 14 bit RAW). The viewfinder has the same resolution (3,680k dot OLED panel) but the magnification is lower (0.76x). The frame rate goes as high as 120fps as well. Both cameras work with the same AF system: DfD (Depth from Defocus) with contrast detection and 225 areas. Both come with Panasonic’s AF-C Custom settings that let you fine-tune the behaviour of the autofocus in continuous mode which is valid for both stills and video. There are a couple of important differences though. The G9 is faster with a 0.04s focus acquisition time instead of the 0.07s speed of the GH5s. The former is also capable of detecting not only faces but human body shapes which makes the camera more accurate at tracking fast subjects. The GH5s is more sensitive in low light with a minimum of -5Ev – one stop better than the G9. Another point in favour of the G9 is its built-in image stabilisation system that works on 5 axes and in conjunction with optically stabilised lenses (Dual IS) to offer 6.5Ev of compensation (CIPA standards). The G9 uses the sensor shift for another feature called High Resolution mode. It takes 8 images in a burst and moves the sensor by half a pixel between each shot. Then the 8 pictures are composited to create a 40MP or 80MP photograph. This technique allows you to capture more colour accuracy because each point of the image is made up of at least one red, blue and green pixel. The GH5s doesn’t have sensor shift technology so it can only rely on the OIS of Lumix lenses. The G9 is clearly a camera made for still photographers but there is one thing it lacks compared to the GH5s: 14-bit RAW. The G9 like most Micro Four Thirds cameras can record 12-bit RAW which gives approximately 68 billion colours. The 14-bit depth of the GH5s can go as far as 4,398 billion colours. The dimensions of the two cameras are quite similar but the G9 is slightly deeper because of its bigger front grip. The weight is the same and both feature a fully weatherproof magnesium alloy body. The GH5s distinguish itself with the red video button on top and the red “S” on the name out front. The G9, by contrast, has a top LCD screen that shows lots of useful information, as well as the settings you’ve selected. It also has a stacked shooting mode and drive dial on top and a front function lever. There are things in common too like dual SD card slots (UHS-II compatible for both slots) and the AF joystick on the rear. The GH5s is the most expensive Lumix camera on the market, priced at around $2500 / £2200 / €2550 for the body alone. The G9 is less expensive starting at $1700 / £1500 / €1700 (body only). Choosing between these two Lumix cameras should be quite straightforward given that they target different users. The GH5s, more than any other Lumix camera to date, is specifically designed for professional filmmakers. Although it has some interesting features for photography such as 14-bit RAW, I wouldn’t recommend it unless video is your primary focus. The G9 has capabilities that can attract sports and wildlife photographers. Its design and various features make it a much more compelling offer for stills and it has more than decent video features like 4K at 50/60p if you want good video quality but don’t need all the extra professional specifications and options of the GH5s.